Spring Training will commence in the next two weeks and with the AGM following shortly thereafter. The football club will close their books on another spectacular year. “Change is constant when it comes to VAFA, and this usually means that club officials won’t enjoy an off-season. Regardless of how successful a season turned out to be, we continuously raise the bar the following year. Every single club is doing exactly the same, especially our strongest rivals,” stated Matt Coasgrave who is the OXFC President. Coasgrave added, “Creating the right coaching structures and locating people to successfully work within them is vital to the success of the team. We will be welcoming brand-new faces this year to the Xavs as well as renew acquaintances who have previously been part of the club. We have been extremely fortunate over the years with so many people involved in the coaching process. Not only head coaches, but those who managed to coach other teams and their assistants. Each and every one of them has influenced the achievements we made at the club. 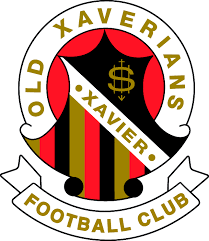 Paul Satterley is the new senior coach at Old Xavs, and he is about to embark on his initial spring training with the Old Xaverians Football Club. He is also in the process of assembling his incredible team of valuable assistants. Joining the Old Xaverians Football Club are two assistants who worked extremely closely with Paul at De La Selle. The role of midfield coach will be taken by Archie Whiting who is joining the team from Dairy Bell. He coached the DLS Reserves in 2018 and was previously a senior assistant at Old Geelong and Fitzroy. The role of backline will be taken by Lachy Walker who was a senior assistant during 2016 at DLS who took care of the club’s defense. Walker was also an assistant coach after he played briefly at Kedron Grange and Zillmere Eagles prior to playing more than 150 matches with the Bellers. The two newcomers will receive assistance from two all too familiar faces who played a significant role on the coaching board of the Old Xavs already. James Byrne and Dan Donati did sterling jobs in the 2018 season under Matthew Hannebery and will make their return to Toorak Park under the coaching platform. Louis Tiernan and Dan Curtain will join Nick Pepperell as co-coach on the Premier Reserves panel. Tiernan is currently recovering from surgery but is looking forward to joining the team once he is back on his feet. Senior coaching changes have been few during the off-season around the Premier Section, with Tom Williams leaving Guy Martin in charge at SKOB. There are also eight penal mentors thrown into the mix to ensure 2019 is another astonishing year.